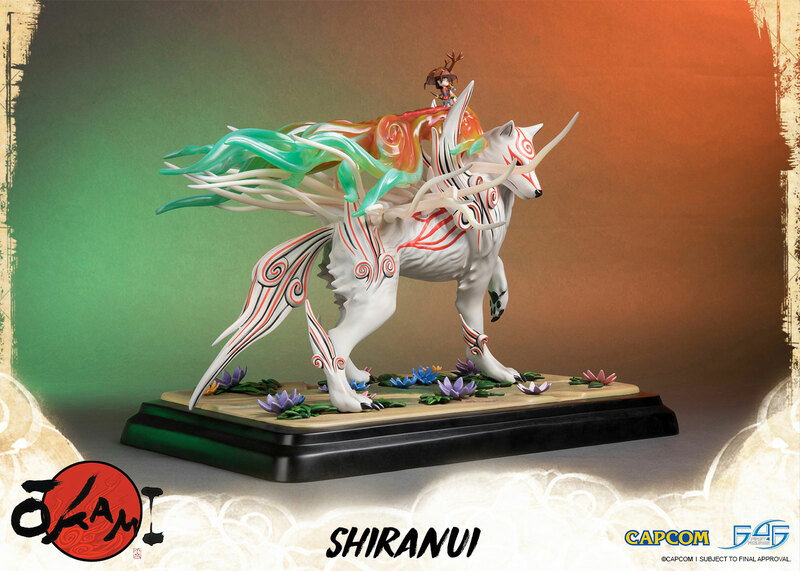 First 4 Figures is proud to present the highly anticipated OKAMI - Shiranui resin statue (regular version). 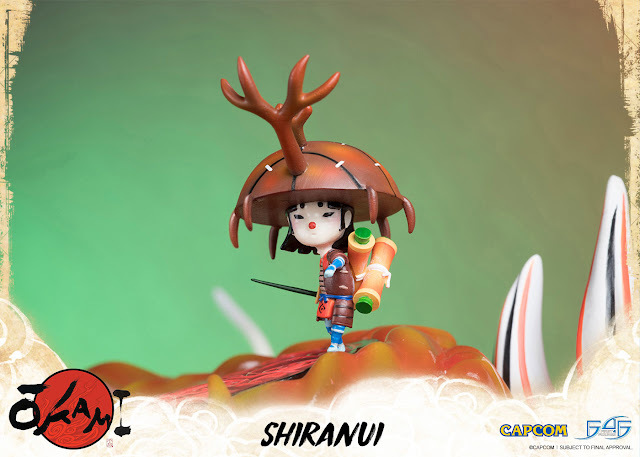 Shiranui is the hero of Kamiki Village in Nippon's history one hundred years ago. 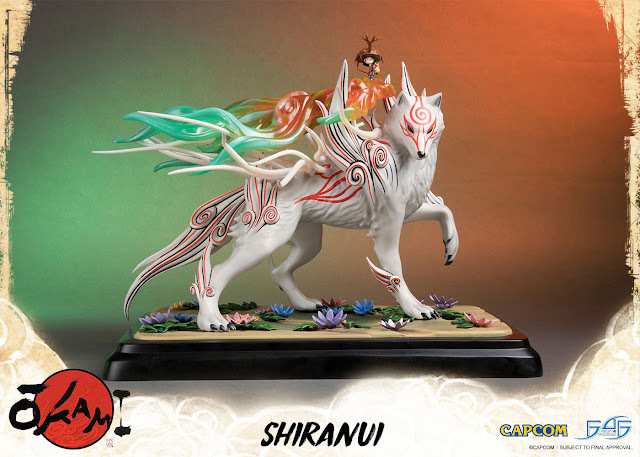 Wielding the Solar Flare Reflector, Shiranui is Amaterasu's previous incarnation at full power. 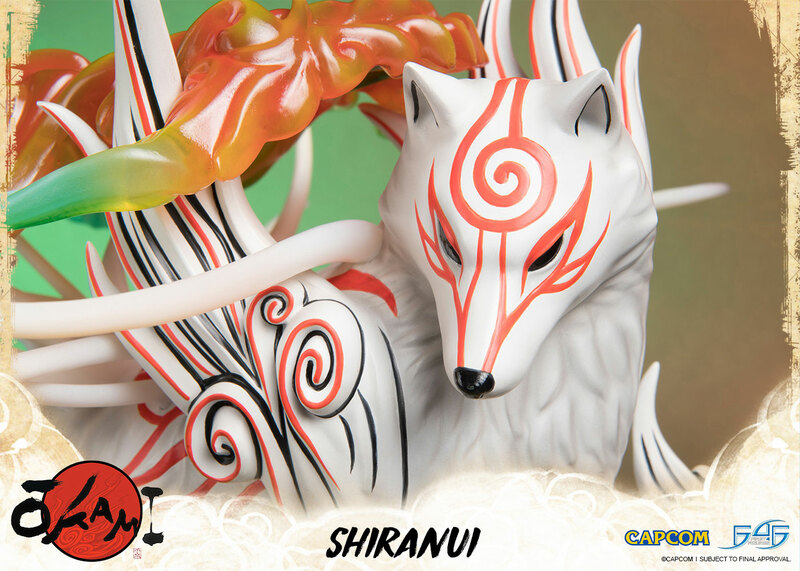 Shiranui exudes a long, pure white mane of flowing energy. Like Amaterasu, Shiranui does not talk and uses a Celestial Envoy by the name of Ishaku to speak instead. The legend surrounding Shiranui - a white wolf was seen wandering around Kamiki Village at night near the time of the ceremony to sacrifice a maiden to Orochi. The villagers named the wolf Shiranui because they believed the wolf was a familiar of Orochi. A man named Nagi attempted to challenge Shiranui but the wolf used shift movements to escape him. On the night of the ceremony, Nagi discovers that his beloved, Nami was to be sacrificed to Orochi. Nagi attempts to battle Orochi but it seemed to be in vain. Just before the final blow to Nagi, Shiranui steps into battle Orochi. After many hours of fighting, Shiranui was badly injured. Before the final blow, Shiranui howled which summoned the moon and gave Nagi the strength to help defeat Orochi. Even though the battle was won, it came at a price. 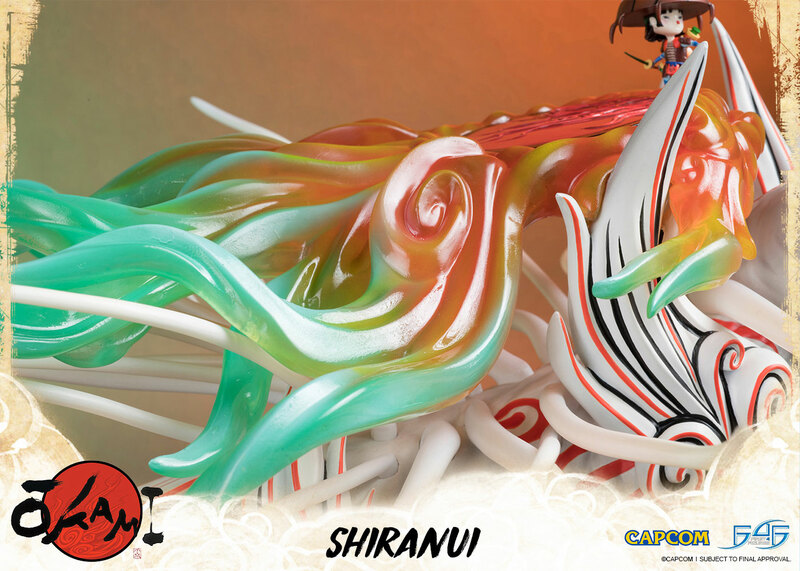 Shiranui was poisoned during the battle and was slowly dying. Nagi carried the wolf back to the village where Shiranui quietly passed away. The villagers built a shrine in honor of Shiranui's brave deeds.